ACUMA is committed to helping credit unions meet their members’ needs. We know not all credit unions want to do all their mortgage lending in-house. As a service to mortgage-lending credit unions, ACUMA is providing a list of our member Credit Union Service Organizations. Each CUSO has provided information of their business, including services offered, states in which they operate and contact information. The accuracy of the information is the responsibility of the CUSO, so please check with individual providers for up-to-date information. States in which CUSO is Licensed to Do Business: OR, ID, WY, NE, IA, CO, NM, AZ, OK. Description of Organization: Centennial Lending is a credit union service organization. Established more than 18 years ago to meet the residential mortgage and commercial lending needs of our partner credit union’s members, we now provide service to more than 100 credit unions as well as the general public; doing business in nine states. Our expert staff is representative of a variety of backgrounds and boasts decades of experience in the residential mortgage, commercial lending, banking and sales and marketing industries. We are passionate about our commitment to our credit union partners and thrive on helping our customers achieve their financial goals. States in which CUSO is Licensed to Do Business: CUMA lends in all 50 states with a few exceptions: FHA and Reverse Mortgages are limited to VA, MD, DC, FL, GA, NC, SC, WV. Description of Organization: Credit Union Mortgage Association was formed in 1978 as the nation’s first CUSO and remains 100% credit union-owned. We are dedicated to providing mortgage origination, processing, underwriting, closing, servicing, and access to the secondary market to credit unions and their members nationwide with state of the art technology. Description of Organization: CU Community dba 7 Mortgage, is a CUSO dedicated to making credit unions stronger through collaboration, top tier product offerings, and unparalleled support. Rooted in the seven principles of the credit union movement, 7 Mortgage is comprised of experienced credit union professionals with the passion, insight, and innovation to help credit unions thrive. States in which CUSO is Licensed to Do Business: AR, AL, CA, CO, CT, DE, FL, GA, IA, ID, IL, IN, KS, KY, LA, MA, ME, MI, MO, MN, MS, MT, NC, ND, NE, NH, NJ, NM, OH, OK, OR, PA, SC, SD, TN, TX, WA, WI, WV and WY. Servion, Inc is also licensed to service in AK, AZ, NV, UT, VA and the Virgin Islands. Description of Organization: Servion, Inc FKA CU Companies was founded in 1987 by three Minnesota credit unions looking to create economies of scale and offer a competitive mortgage product to their members. Their corporate office is located in New Brighton, MN. Servion, Inc. is now owned by more than 50 credit unions and provides mortgage services to hundreds of financial institutions throughout the nation including Correspondent, Retail and Wholesale Channels. Since 1987, it has also expanded other its offerings of other services including title, investments, commercial lending resources, and realty. States in which CUSO is Licensed to Do Business: ID, OR, WA. Description of Organization: CU Home Mortgage Solutions is a Seattle-based provider of mortgage services (both originations and servicing) to credit unions. CUHMS offers extensive support to our partners so that you can put regulatory compliance, staffing and IT infrastructure concerns behind you to focus on what you do best: meeting the needs of your members. States in which CUSO is Licensed to Do Business: CUMANet is licensed to do business in all states. Description of Organization: CUMAnet, LLC is a full-service mortgage-asset management company established in 1995 as a credit union service organization to provide thought leadership and innovation to community-based lenders. CUMAnet leverages the best in mortgage technology, compliance, secondary market, servicing and low-to-moderate lending solutions to provide best-in-breed white label mortgage operations for more than 45 credit unions. CUMAnet offers a wide array of mortgage outsourcing solutions to enhance member services by providing simple, innovative solutions for complex mortgage issues facing community-based lenders. States in which CUSO is Licensed to Do Business: ME, NH. 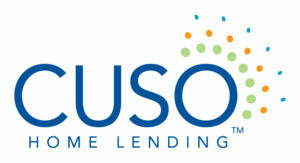 Description of Organization: CUSO Home Lending is a licensed mortgage company owned by Maine credit unions. We have been originating and servicing mortgages since 1993. Our mission is to provide consumer—credit union members as well as non-members—with a full menu of competitively priced residential mortgage products and services with extraordinary courtesy and exceptional service. CUSO strives to provide a variety of loan programs for both low-income and first-time homebuyers, as well as for moderate- to higher income borrowers. States in which CUSO is Licensed to Do Business: DE, FL, MD, NJ, PA, WV. Description of Organization: First Heritage Financial provides a comprehensive, no-cost 1st Mortgage Partners Program that supports and services 82 partner credit unions that have combined assets of more than $9.3 billion. We are a credit union-owned company with an experienced staff. Our counseling, processing, underwriting and closing functions are adapted to your requirements to exceed your service expectations. First Heritage also fully services all your closed loans and we provide you the opportunity to portfolio loans or sell them on the secondary market. We work with credit unions of all asset and membership levels to increase and strengthen your member relationships. 35 total: AL, AK, CA, CO, CT, DE, FL, GA, IA, IL, IN, ID, KY, MA, MD, MI, MN, MT, NJ, NM, NC, OH, OK, OR, PA, RI, SD, SC, TN, TX, VA, WV, WA, WI, WY and Washington D.C. Discover the benefits of partnering with a Credit Union owned mortgage CUSO that shares your core values and understands your needs. At Member First Mortgage (MFM), we are focused on bringing innovative mortgage solutions to our Credit Union partners to enhance your member’s experience and enable you to achieve your goals. Customize your experience with a variety of partnership options available to fit your Credit Union’s unique needs! NMLS ID# 149532, Equal Housing Opportunity Lender. States in which CUSO is Licensed to Do Business: AK, CO, IA, KS, MO, NE, OK. Description of Organization: Members Mortgage Services LLC (MMS) was established in 2004 by and exclusively for credit unions wishing to provide a superior mortgage solution. At MMS we equip and propel our partners to achieve dominating success in their markets through great technology, pricing and products. States in which CUSO is Licensed to Do Business: AZ, CA. Description of Organization: Meriwest Mortgage is a wholly owned subsidiary of Meriwest Credit Union with more than $1.4 billion in assets. Meriwest Mortgage understands that buying a home can be a complicated and intimidating process; that’s why we’ve made our mortgage loans easy and convenient. We can help your members navigate through the homebuying process and you can earn extra fee income for your credit union. We offer you a competitive edge with quick closes and MI pricing advantage. In addition, Meriwest Mortgage can help you grow your real estate loan portfolio and strengthen your position as your member’s primary financial institution, helping fulfill the financial needs of your members and supporting their wealth creation. We can also help you build new member relationships. Meriwest Mortgage is Fannie Mae, Freddie Mac and FHLB approved Seller/Servicer. States in which CUSO is Licensed to Do Business: FL, IL, MI, OH, WI. Description of Organization: Mortgage Center was established by credit unions in 1990 as a way to offer mortgage services to their members. From mortgage origination, processing, underwriting, closing, and servicing, the Mortgage Center team upholds the same standards and principles on which we were founded, by providing exceptional member care. Only Mortgage Center offers the Credit Union Exclusive mortgages created to serve the unique needs of members. States in which CUSO is Licensed to Do Business: myCUmortgage is licensed to operate in more than 47 states and working toward nationwide coverage. For current licensing information, please call myCUmortgage at (937) 912-7669 or toll-free at (877) 912-8009, or email us at info@mycumortgage.com. Description of Organization: myCUmortgage makes it possible for all credit unions to offer traditional and government loan options along with mortgage servicing to their members! Since 2001, we have been on an obsessive mission to help credit unions help more members with ownership. Through our industry leadership and expertise, comprehensive solutions and credit union focused service, we empower credit unions to be great mortgage lenders and make it easy for you to thrill your members. This is how we mortgage. Are you ready to join us? States in which CUSO is Licensed to Do Business:TruHome currently provides origination services in over 30 states and services loans in 48 states (NMLS: #284608). Description of Organization: TruHome Solutions was formed in 2004 as a mortgage CUSO that provides a full-range of private-label mortgage services to credit unions nationwide. As industry experts, we become an extension of your team, exercise transparency in every detail, and recommend the solutions that are right for you. Credit Union growth is our business, but your members are our priority. For more information, please give us a call, visit our website or check out our LinkedIn page..